Chinese actress / singer Zhou Xun (周迅) talks about four male stars with whom she has co – operated before in an interview, and she said that Chinese mainland actor / singer Chen Kun (陈坤) was her ideal lover. She said that Hong Kong actor Daniel Wu (吴彦祖) was like her brother because they were similar in many ways including personality and music. While Hong Kong singer / actor Jacky Cheung (张学友) could be a perfect husband. 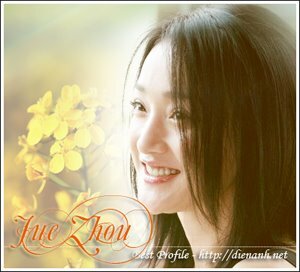 Jacky is trustable and loves his wife and children very much which is impressive to Zhou Xun. As to Chen Kun, he is gentle and loves his mother very much. Zhou Xun said that such a man could be an ideal lover. Takeshi Kaneshiro is polite to everyone but talks little, so he can be a good friend.